This is a high-quality sturdy hammer with an anti-slip handle and removable plastic ends. The ends are different densities to allow for the specific fret material you are using. the rest of the hammer is made from a weighty alloy. 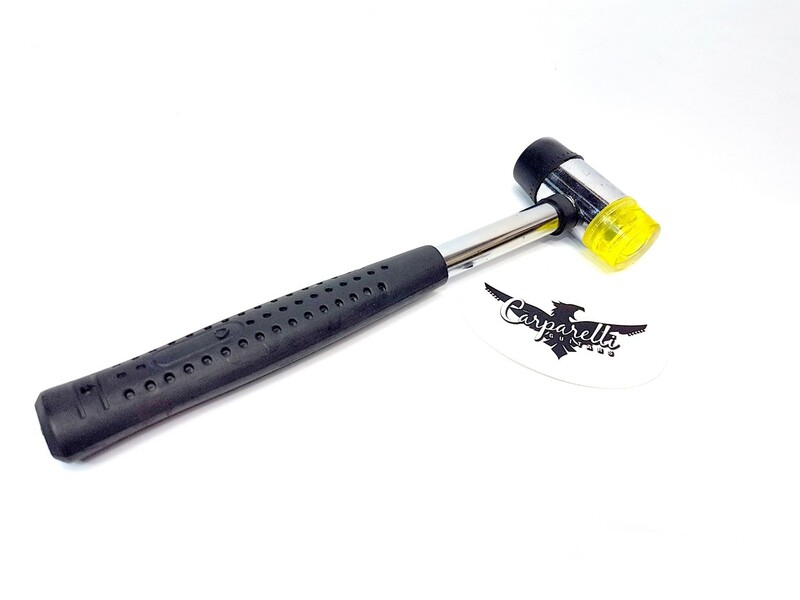 This hammer is perfect if you are fretting a guitar or any other stringed instrument. It is also very useful for making repairs to high frets etc. This is the same hammer we use and it has been very capable over the years. 6.3 oz Double Hard Rubber Side REMOVABLE heads.